The MURDER of Mental ill people in the streets of Toronto | TORONTO'S FIRST "Cop Watch"
ONE: What happened to the training received at Police College? TWO: What happened to the Mobile Crisis Intervention Units? This is a crime by all counts perpetrated by one or more of the T.P.S “finest officers” of Toronto . Can’t wait for Dr. Aloj and Chief Blair to come with a sorry explanation and to defend the cops.. Oh yeah they are doing a tough job.. really? This was a murdered .. Mr Blair and Dr Aloj, explain , why( 9 ) nine shots were needed? Was it to ensure the victim does not LEGAL SUIT the T.P.S? or was a motive for the officer to be promoted to Sergeant? 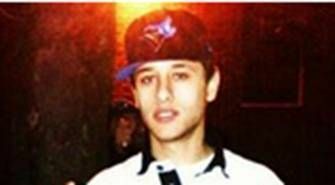 UPDATE: The victim’s name is Sammy Yatim and he was just 18 years old. ← OFFICER DORAZIO..Aren’t you suppose to “SERVE and PROTECT” the community?